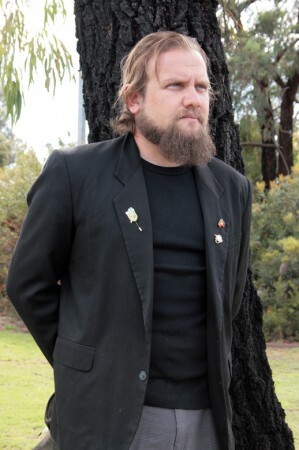 Dr Glen Stasiuk (nee Keen/Farmer/Hayward): I am a Lecturer & senior Indigenous researcher at Murdoch University and a maternal descendent of the Minang-Wadjari Nyungars (Aboriginal peoples) of the South-West of Western Australia whilst my paternal family immigrated from post-war Russia. These rich and varied cultural backgrounds have allowed me, through my filmmaking, research and writing to explore culture, knowledge and diverse narratives. This was evident via my films: The Forgotten & Wadjemup: Black Prison – White Playground which were voted Best Documentary at the 2003 WA Screen Awards and Outstanding Achievement Feature Film – Factual – at the 2014 WA Screen Awards, and my extensive academic research and writings including ARC project Wadjemup: Rottnest Island as Black Prison & White Playground. I also hold a Business Degree from Edith Cowan University, and a Bachelor of Arts from Murdoch University. In 2002 I was awarded a First Class Honours Degree in Media Studies and delivered the Valedictory Address at that year’s graduation ceremony. My film productions include: Noongar of the Beeliar – Swan River (2004), Weewar – A Bindjareb Warrior (2006), Footprints in the Sand (2006), The Ngallak Koort Boodja Project (2007), Gnulla Katitjin Quoppadar Boojar (2008), “Razor Wire” (2012), ‘In a Field in France’ (2014), Wadjemup: Black Prison - White Playground (2014), SYNERGIES: Walking Together – Belonging to Country (2015) & Sol Bunker (2015) [as Producer]. I am currently completing several film projects including Yulubidyi – Until the End [as Producer], DREAMTIME [Co-Producer/Director] & A Shot Rings Out [Writer/Producer/Director]. 2014 Stasiuk, Glen Wadjemup: Rottnest Island as Black Prison & White Plaground, PhD Exegesis, Murdoch University, Murdoch. 2009 Conference: Indigenous Studies; Indigenous Knowledges (ISIK) Conference in Fremantle, Western Australia, hosted by The University of Western Australia and the University of Notre Dame. Robertson, F., Nannup, N., Stasiuk, G., Hopper, S., (2017),Nyoongar Boodja Koomba Bardip Kooratan. Nyoongar Land. Long Story Short. A History of ancient Nyoongar land and people,Batchelor Institute Press. hibberd, L., Stasiuk, G., (2017),Vagabonds and Rogues: The Prison Writing of Aboriginal Author Graeme Dixon and the Role of Literary Witnessing of Incarceration in Australia Prison Tourism,In: The Palgrave Handbook of Prison Tourism, Palgrave Macmillan UK, pages 321 to 340. Stasiuk, G., hibberd, L., (2017),Rottnest or Wadjemup: Tourism and the Forgetting of Aboriginal Incarceration and the Pre-colonial History of Rottnest Island,In: The Palgrave Handbook of Prison Tourism, Palgrave Macmillan UK, pages 191 to 215. Peters, N., Marinova, D., van Feassen, M., Stasiuk, G., (2017),Digital preservation of cultural heritage,In: Technology, Society and Sustainability, Springer International Publishing, pages 107 to 114. Stasiuk, G., (2008),Warriors then...Warriors still: Aboriginal soldiers in the 20th century,In: History, Politics & Knowledge: Essays in Australian Indigenous Studies, Australian Scholarly Publishing, pages 191 to 205. Stasiuk, G., (2004),"...Til the Day We Die": Multiculturalism from an Indigenous Perspective",In: A Changing People: Diverse Contributions to the State of Western Australia, Office of Multicultural Interests, Government of Western Australia, pages 0 to 0. Robertson, F., Stasiuk, G., Nannup, N., Hopper, S., (2016), Ngalak koora joora djinang (looking back together):a Nyoongar and scientific collaborative history of ancient Nyoongat boodja,	Australian Aboriginal Studies, 1, , pages 40 - 54. Stasiuk, G., Peters, N., Marinova, D., (2014), Marooned Dutch East India Company Mariners' Aboriginal Connections in Western Australia: The Untold Story,	Transformacje, , , pages 70 - 81. Stasiuk, G., Kinnane, S., (2010), Keepers of our Stories,	The Australian Journal of Indigenous Education, 39S, , pages 87 - 95. Stasiuk, G., (2006), Warriors then...Warriors Still: Aboriginal Soldiers in the 20th Century,	Journal of Australian Indigenous Issues, 0, , pages 0 - 0. Ejueyitsi, V., Stasiuk, G., (2008),The Factors That Influenced Health Service Delivery System in Developing Countries: A Case of Nigeria in Colonial & Post Colonial Era,In: 3rd Biennial Conference of the Academy of World Business, Marketing and Management Development (2008). Stasiuk, G., (2002),"The Forgotten": Indigenous Service in the Australian Armed Forces in the 20th Century,In: Australian Institute of Aboriginal and Torres Strait Islander Studies. 2002 Stasiuk, Glen (2002) The FORGOTTEN: Indigenous Service in the Australian Armed Forces in the 20th Century, Australian Institute of Aboriginal & Torres Strait Islander Studies (AIATSIS), Canberra. 2002 Stasiuk, Glen (2002) Frontlines: Gender, Identity & War Paper: The FORGOTTEN, Monash University, Melbourne. 2003 Stasiuk, Glen (2004) Chapter 2: „…Till the Day we Die‟: Multiculturalism from an Indigenous Perspective, A Changing People: Diverse Contributions to the State of Western Australia, Ed: Raelene Wilding & Farida Tilbury, Office of Multicultural Interests Government of Western Australia, Perth. 2009 Stasiuk, Glen (2005) “Warriors then…Warriors still‟: Aboriginal Soldiers in the 20th Century, History, Politics & Knowledge: Essays in Australian Indigenous Studies, Editor: Andrew Gunstone, Australian Scholarly Publishing Pty Ltd, Victoria. 2009 Stasiuk, Glen (2009) Aboriginal Servicemen & Servicewomen, Historical Encyclopedia of Western Australia, Edited by Jenny Gregory & Jan Gothard, University of Western Australia Press, Crawley. 2010 Stasiuk, Glen [with Steve Kinnane] (2010) “Keepers of our Stories”, The Australian Journal of Indigenous Education, University of Queensland.